About to finish season 2 on iTunes with my son and we love the series thus far. It's helping us get through the long wait between episodes of the 2012 series. Has anybody heard if they will release more seasons on iTunes? I understand if they don't want to invest money in releasing the DVDs but seems like it would be easy to have them on iTunes. We really want to keep watching but the price of the season 3 DVDs on ebay are crazy. Wonder how the sales of the first two seasons have been on iTunes? I wouldn't have even known they were available if it wasn't for finding this forum. You would think they would do some sort of advertising or something to let people know they are on there. You would think they would do some sort of advertising or something to let people know they are on there. They're terrible at promoting and advertising for the shows. It's pretty sad. Season 3 is on iTunes. Finally! Here's hoping it won't take as long to get season 4. Hey look, they put Christmas Aliens in its proper position (at the start of the season). Also, the Amazon descriptions for each episode are really well written... does anyone know if those are those the original synopses 4Kids provided back in the day, or did Amazon make them themselves? I think all these itune uploads are proof proper DVD sets are coming. I disagree. Additional digital releases are only proof that more additional digital releases may be coming. Like it or not (I certainly don't) digital is the way most distributors are going. I assume sales of those hideous DVDs Nick put out a few months back were not entirely satisfactory, or we'd have heard something about more coming by now. I think if we do get a proper DVD boxset, it would be through a third-party company. Amazon doesn't have the option to purchase the entire season yet, which is usually about $20, compared to purchasing each of the 26 episodes individually for $2. Amazon made the descriptions themselves; the original 4Kids synopses were also originally hosted on the Mirage/TMNT website, and those aren't them. I wonder if seasons one and two were initially like that as well. Perhaps they'll eventually have the entire third season for $20, like they do now with the first two seasons. Looks like the episode Bishop's Gambit is missing, at least in the Amazon release. They must be aware of this, since there's a very noticeable hiccup in the numbering system (we jump from #23 to #25 strangely). When season 2 first went up on Amazon, there were two episodes missing, with the numbering still correct. I'll wait a few days and they should have all of the episodes up along with the season pass for it. DVD sales are in the trash, unless a company like Shout Factory is interested we won't be getting any DVDs any time soon. I wonder why they haven't put this show on vudu yet. 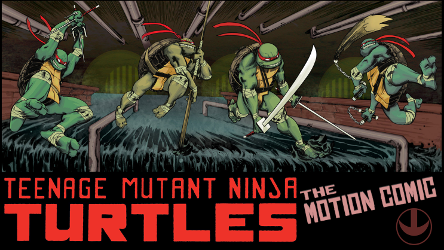 They have the Fred wolf cartoon on there and turtles forever.